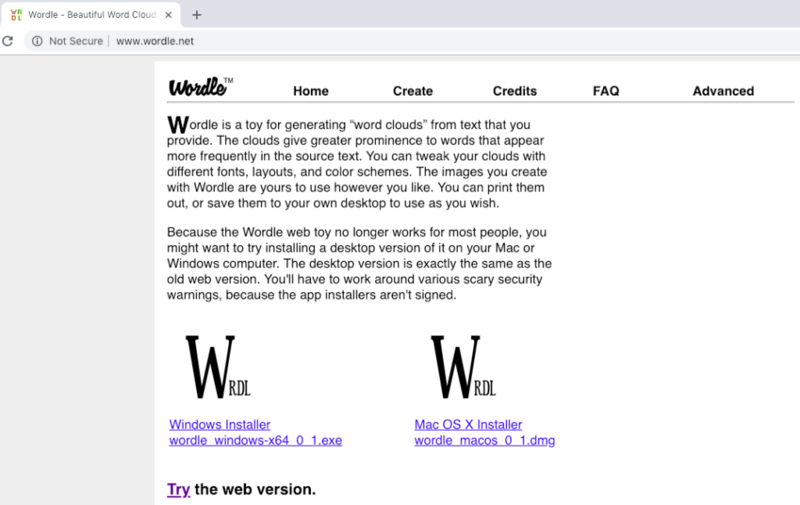 Wordle is a simple program (from the user side – I don’t know enough about coding to judge whether a lot is going on under the hood) which creates word clouds. Word clouds, for the unfamiliar, are a way of visualizing which words are used or found most frequently in a given text. Word clouds have become very fashionable in all sorts of presentations, because they allow a presenter to illustrate the key or central themes of a piece of text in a very easy-to-understand visual format. A word cloud is both a means and an end. A presenter might cite a statistic which is difficult for a listener to comprehend. Showing a word cloud dominated by a word presents the same information in a more visually striking way. 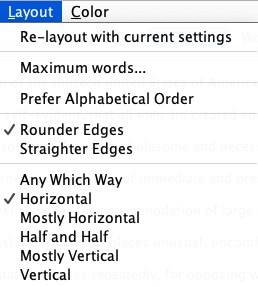 Wordle has several benefits for presenters: it is free, and usable on both web browsers or as a downloaded application. It does the computing and graphic design needed to produce a word cloud; a presenter who doesn’t have the time or resources to create a word cloud themselves can simply copy-and-paste text and then choose from a variety of styles and fonts. Using the simple drop-down menus, the creator of the world cloud can opt to remove common words in a number of languages. This ensures that the word clouds aren’t dominated by words without serious historical meaning, like “the.” You can also alter the graphic design of the word cloud in a number of ways: you can adjust how many words are included in the word cloud and how the words are arranged. 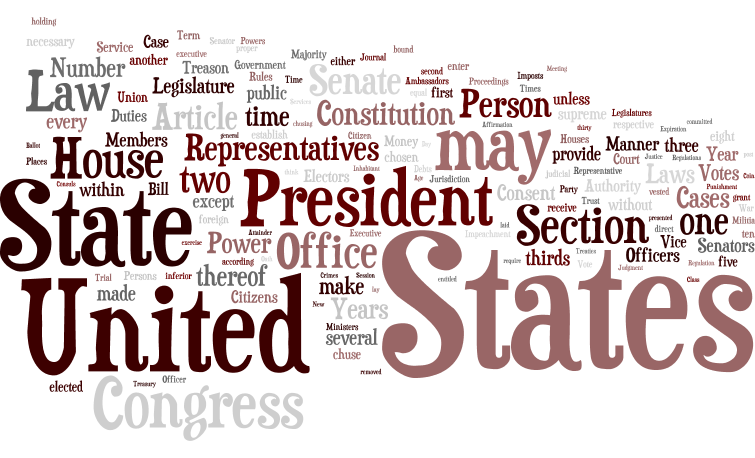 For an example of how Wordle might be used in a presentation, I decided to input the text of two related documents: the Declaration of Independence and the Constitution of the United States (amendments not included). This could be used by a scholar of early American history to illustrate the similarities and differences between the two documents. 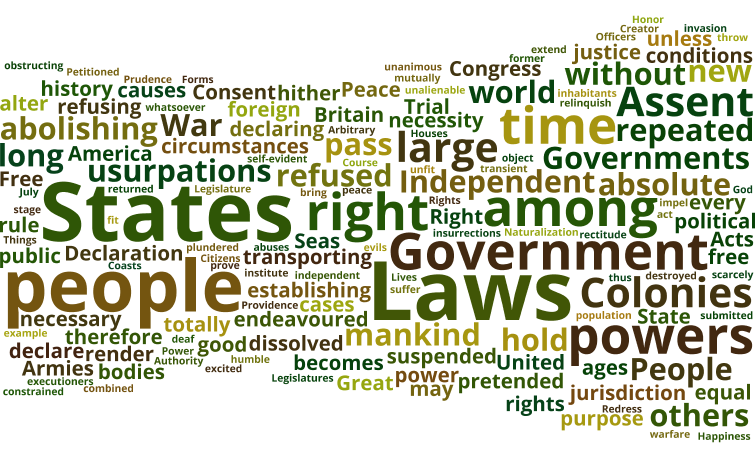 A presenter could point to words which appeared in both word clouds, such as “States,” as well as illustrate the differences between the two documents. By altering the number of words included in the word cloud, presenters can make these contrasts even more obvious. Having these two images in a presentation would enhance its educational power, especially for visual learners. Hi Ike! First off, thank you for the great post giving us more information about Wordle. I really appreciate you taking the time to create some examples and I like the idea you have of using this tool to compare the language used in the Declaration and Constitution (I can see this being very helpful for teachers as well!). I have seen these word clouds before, but have not tried making one myself (yet). While working at President Lincoln’s Cottage (PLC), I would start my tour by asking visitors a question and having them write their answers on a whiteboard. After the tour, we would document their answers in an Excel sheet and the Cottage would create a word cloud using Wordle and then post it on social media. I really loved this because of the engaging visuals it presented and also for the fact that it showed our visitors that we valued what they had to say. 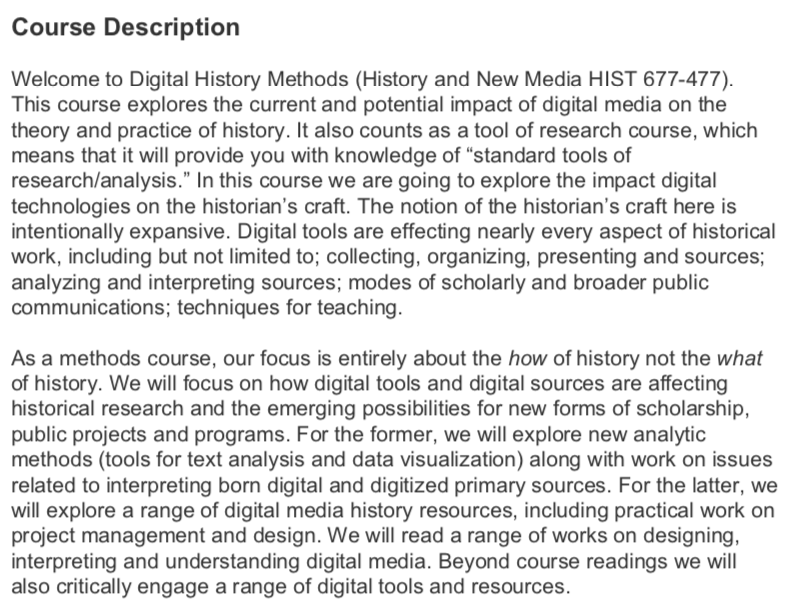 I look forward to seeing how others use this resource. 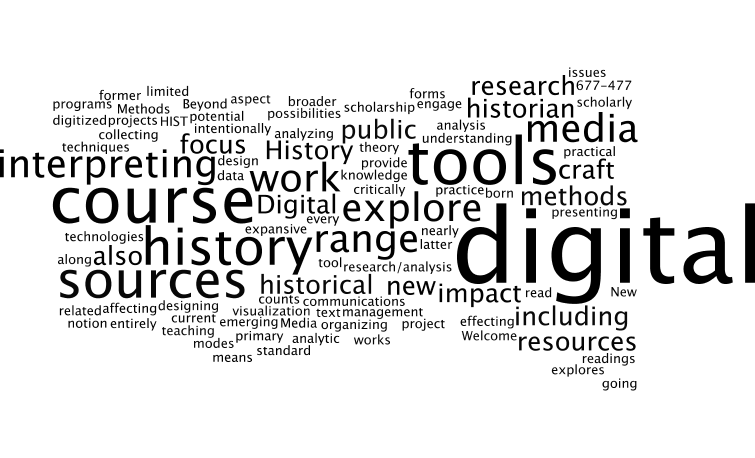 With that being said, I completely agree with your point that Wordle can offer historians some great opportunities when educating others, especially for learners who benefit from visuals. I will definitely be using Wordle more in the future!